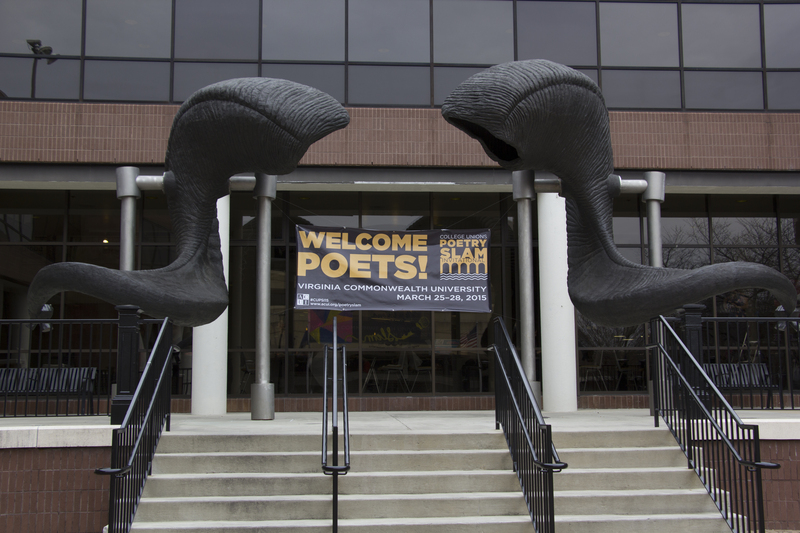 From March 25-28, Virginia Commonwealth University will host the 15th annual College Unions Poetry Slam Invitational in the University Student Commons and at Altria Theater. As the largest collegiate poetry slam competition in the nation, sixty-eight teams throughout the United States and Canada will come together in performing events called “slams” to compete for the title of CUPSI champion. This four day four-day event consists of two days of preliminary rounds, one day of semi-finals and the finals. Preliminary rounds will be held on Wednesday, March 25 and Thursday, March 26, from 5 p.m until 10:30 p.m. On Friday, March 27, semifinals will be held from 6 p.m. until 10 p.m. and the finals which take place on Saturday, March 28, at 7 p.m. with tickets sold at Break Point for $10 for credit card only. Tickets will not be sold at the door. All other events are free to all who choose to attend. Since 2001, the Association of College Unions International offers an opportunity for campuses with new or existing poetry slam programs to compete for merit and share their creative voice amongst their collegiate peers. Any participant meeting the 2.0 GPA requirement and has a full-time student status is eligible to compete and share their work. The competition is meant to enrich college students and their community by sharing poetry, embracing inclusivity and provide an outlet for students to voice their opinions and ideas through slam poetry. The invitational will consist of rounds called “bouts” in which students present their own poems to be judged on numeric scale by members of the audience on the basis of writing and presentation. Each day includes a fun and unique “slam” including an open-mic on Wednesday night, a nerd-themed slam on Thursday, and a coaches slam on Friday night. As a haven for diversity and artistic talent, VCU is no stranger to students of all backgrounds and voices, making the university an ideal place to host such an event. The large event spaces, various poetry organizations, cultural and artistic atmosphere of the city, various attractions, dining options and accessibility of the city make Richmond and VCU a prime location for hosting the event. This CUPSI will be the first international CUPSI and the largest one in the history of the event. 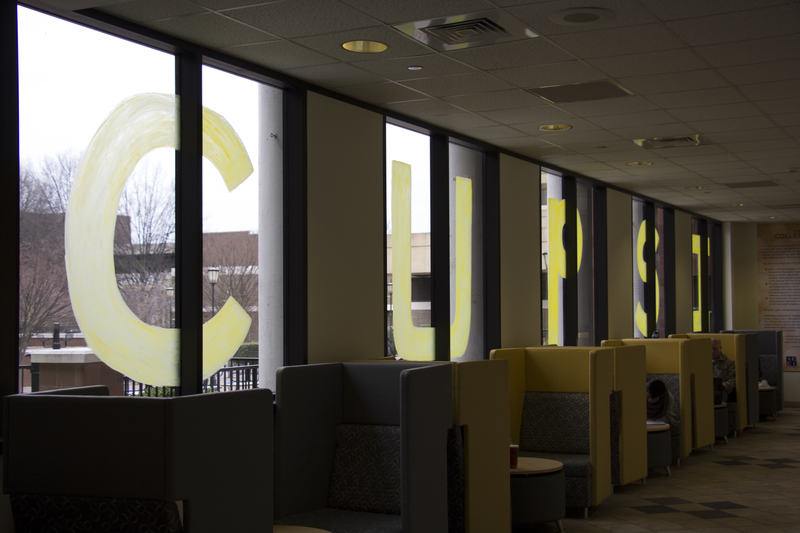 Hosting the competition at the University Student Commons is indicative of VCU’s commitment to free expression throughout the community. The invitation to CUPSI is not limited to performers and poetry enthusiasts, as the judges are picked from the audience, and all are welcome to attend. Of the 68 teams participating in CUPSI, one is VCU’s very own Good Clear Sound, a slam poetry group which started in 2011 under the name Slam Nahuatl, which has been competing in CUPSI since 2012 and placed second place nationally in last year’s competition. The team consists of 16 active members, five of which are competing in this year’s CUPSI competition. A golden microphone trophy will be awarded to the winning team at the CUPSI finals. While there are currently no monetary awards for winners, in the future ACUI hopes to have scholarships for winning teams and contestants. Those hoping to attend can find event details on the ACUI website at www.acui.org/poetryslam, on the University Student Commons and Activities website at www.usca.vcu.edu/cupsi or on the USC&A Facebook and Twitter pages. This unique event is open to all who wish to attend.